I have recently taken an interest in finding vulnerabilities in embedded devices. Since it is expensive to purchase some of these equipments to perform testing, it might be more cost effective to reverse the firmwares instead. The product which I am reversing is the LifeSize Room 220. 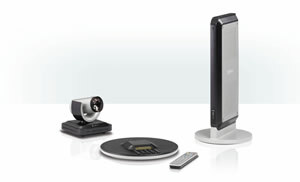 LifeSize Room 220 is a HD video conference solution. It looks like a fairly interesting product to learn more about reversing firmware. First, we will need to install all the prerequisites in Debian. In order to properly emulate the device, we need to identify the processor type. We can do that by running the file command against /bin/busybox. Having identified the processor type as PowerPC, we will then download and compile Qemu which will be used for emulation.